Venezuela’s gold reserves have rarely stayed out of the financial news headlines over the last four years. From initial gold repatriation announcements in August 2011, through to gold shipments from Europe to Venezuela’s capital, Caracas, in late 2011 and early 2012, as well as the more recent negotiations on using gold in swaps and for loan collateral, the Venezuelan gold story has filled many column inches. However, much of the coverage has been disjointed and purely focused on the story of the day. The analysis below aims to take a broader overview and to provide a big picture treatment. To understand where Venezuela’s gold got to where it is today, you have to understand where it’s been. The analysis is divided into two parts. Part 1 starts with a short historical overview of Venezuela’s gold up to 1992, followed by an examination of where the gold, and the claims on gold, were located just prior to repatriation in 2011. It also drills down into the composition of the gold now held in the BCV vaults and shows that these bars would be expected to consist of roughly equal percentages of London Good Delivery bars and US Assay Office ‘melt’ bars. Part 2 examines the actual repatriation exercises in late 2011 and early 2012, and takes a look at the renewed circling of the Venezuelan gold by the international investment banks, most recently illustrated by Venezuela’s gold swap negotiations with Goldman Sachs in late 2013, and the more recent gold swap agreement with Citibank in April 2015. Since Venezuela was able to fly 160 tonnes of gold on cargo flights across the Atlantic Ocean from Europe to Caracas in 2 months, it begs the question, why has the German Bundesbank not been able to fly 300 tonnes of gold from New York to Frankfurt in 4 months? According to the World Gold Council’s latest list of IMF collated and reported World Official Gold Holdings as of May 2015 (IFS), Venezuela’s central bank, Banco Central de Venezuela (BCV), officially holds 367.6 tonnes of gold within its international reserves, ranking Venezuela as the world’s 16th largest official gold holder. This gold comprises 68.9%, by value, of Venezuela’s total international reserves. Given that many of the countries on the IMF list employ very opaque reporting standards for their gold, Venezuela would probably rank a number of places higher in a more realistic world list, even since re-commencing active management of some of its gold reserves through swaps. In March 2010, the BCV published a very useful Powerpoint presentation (in Spanish) explaining the history of the Bank’s gold reserves and how it’s gold had been accumulated since 1940. Some additional history about the Venezuelan gold is also contained in a short Venezuelan Government publication also in Spanish (Venezuela oro encarteasamblea Reservas Int). The BCV was established as Venezuela’s central bank in 1939 and has it’s headquarters in Caracas. As early as 1940, the BCV’s international reserves totalled $31 million, of which $29 million (~26 tonnes) was in the form of monetary gold. This gold had been mostly transferred to the BCV from Venezuela’s private banks, and was used as a backing for bank-note issuance which was a function that the BCV took over from the private banks. In 1942, the BCV’s gold reserves totalled $67 million dollars (59.78 tonnes), with 36.23 tonnes in the BCV vaults and 23.55 tonnes in the custody in the gold vault of the Federal Reserve Bank of New York (FRBNY) under 33 Liberty in Manhattan. By the end of World War II, the BCV’s gold holdings had increased to approximately 180 tonnes, most of which was classified as monetary gold. This rapid accumulation of gold at the Federal Reserve Bank of New York (in the form of US Assay office melt bars) arose from US payments of gold to Venezuela in exchange for Venezuelan oil exports to the US, i.e. gold-for-oil transactions. Following World War II, the BCV continued to convert any surplus income not required for import payments into gold, and in 1948 Venezuela had built up holdings of 287 tonnes of gold, making it the 8th largest gold holder in the world, and the largest gold holder in Latin America. During this period, the BCV says that it “streamlined the transfer of gold” from FRBNY custody to the BCV vaults in Caracas. In 1957, the BCV also bought two large ‘lots’ of fine gold bars from the IMF. As a result, in 1957-1958, Venezuelan gold holdings reached their highest level ever at nearly 640 tonnes. In 1961, the BCV needed to acquire foreign exchange from the IMF, some or all of which was paid for with gold, and Venezuela’s gold reserves fell by nearly 300 tonnes, to approximately 340 tonnes, and then rose slightly in the 1960s to between 356 and 357 tonnes. Fast forwarding to 1986, the BCV made a decision to engage in the “proactive management of monetary gold in the international market“, and in the late 1980’s moved “a significant portion” of gold from its vaults in Caracas to the Bank of England vaults in London as a prelude to “investing” this gold in the London Gold Market. The BCV adopted the good delivery standard for the gold sent to London and invested these holdings in interest-earning financial transactions such as swaps and gold deposits. These gold operations were established with “first-class financial institutions as enshrined in the Central Bank Law“, which “narrowed” the allowable counter-parties (i.e. narrowed the counter-parties to certain LBMA bullion banks). Specifically, as at 31 December 1986, 14.7% of Venezuela’s 356 tonnes of gold was held at the FRB vaults in New York, and 85.3% was held at the BCV vaults in Caracas. Six years later, on 31 December 1992, 14.7% of this same 356 tonne quantity of gold was still at the FRB in New York, 43.3% was still at the BCV in Caracas, but now 28.5% had moved to the Bank of England and 13.4% was said to be with the BIS (note: this adds up to 99.9% due to rounding errors). There are slight discrepancies in the data sources as to whether the BCV held 357 tonnes or 356 tonnes in the late 1980s / early 1990s, but the Venezuelan Government figures at the end of December 1992 were 154.5 tonnes in Caracas (43.3% of the gold reserves), 101.8 tonnes at the Bank of England (28.5%), 52.2 tonnes in the FRBNY (14.7%), and 47.79 tonnes with the BIS (13.4%). This gold distribution adds up to 356.29 tonnes. Note that initially in the late 1980’s, 89.72 tonnes of gold was transferred from the BCV to the Bank of England, and this amount appears to have been augmented slightly to 101.8 tonnes by the end of 1992. This would also suggest that the gold deposited with the BIS was via the BIS’ gold account at the Bank of England in London. Various Venezuelan news articles such as here claim that gold began to be moved to London, initially surreptitiously, from the BCV in Caracas beginning with 8 tonnes on 5 August 1988, and then another 8 tonnes on 21 February 1989 when the newly elected president, Carlos Andres Perez, came to power for a second time. The above historical account should go someway towards explaining how Venezuelan gold ended up at the Bank of England in the late 1980s and early 1990s. However, it is not the full story. To get a fuller picture, you also have to work in reverse from 2011 back to 1992. Luckily, the BCV has provided a roadmap that helps in this regard. Note that the BCV classifies international reserves into a) operating reserves (“liquid reserves”), comprising short-term cash and cash like instruments invested with institutions such as investment banks and the BIS, and b) non-operational reserves such as gold and SDRs. Throughout the 1990s and 2000s, the BCV’s gold holdings had remained static at 357 tonnes until the 2008/2009 period. During 2008, the BCV’s board made a decision to send its non-monetary gold holdings abroad for “strategic use” (i.e. investment operations). Some of this non-monetary gold was purchased from Venezuelan gold mine production. In early 2009 and 2010, the BCV “monetized its non-monetary gold” by having it refined into good delivery bars and then moved this gold to London to participate in return generating transactions. This led to the 357 tonnes total rising to 361 tonnes in 2009 and then 364 tonnes in 2010. By 2011, Venezuela’s gold holdings had reached nearly 366 tonnes. * The “Fed Melted Bars” that the BCV refer to are US Assay Office melts (batches of ~ 18 to 22 bars), and the BCV notes that these bars “exceed 995 fine, but lack a refiner seal certifying assay“. What the BCV means is that although these bars have the correct fineness to be good delivery bars, they are not good delivery until they have been individually weighted and individually stamped (i.e. until the Melts have been broken). See “The Keys to the Gold Vaults at the New York Fed – Part 3: ‘Coin Bars’, ‘Melts’ and the Bundesbank” for an explanation of US Assay Office ‘melts’. Based on this BCV inventory, the entire repatriation by Venezuela would be expected to have consisted of London Good Delivery bars. It also would mean that following the repatriation, the BCV vaults held a roughly 50% – 50% combination of US Assay Office ‘melt’ bars and London Good Delivery bars. See section below on ‘How many Gold Bars did Venezuela have in August 2011’. 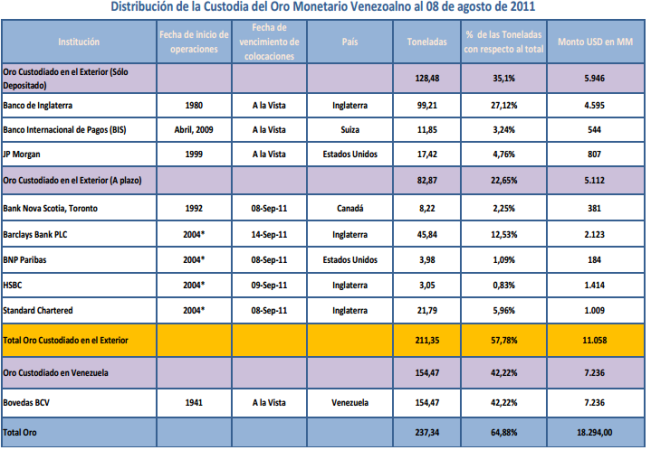 The August 2011 international reserves document from Chávez, which was actually issued by the then BCV president, Nelson Merentes, and the then Venezuelan finance minister, Jorge Giordani, included a detailed breakdown of the composition and location of Venezuela’s gold reserves as at 8 August 2011, in the form of the table below. This table illustrates that Venezuela’s gold that was held abroad had experienced some very interesting transformations between 1992 and 2011. According to the table, as at 8 August 2011, Venezuela held 365.82 tonnes of gold, with 154.47 tonnes in Venezuela custodied in the vaults of the BCV (42.22% of the gold), and 211.35 tonnes held abroad (57.78% of the gold). The gold held abroad was classified into two broad categories, namely, “Sólo Depositado” (gold deposited only or on deposit only) totalling 128.48 tonnes, and “A Plazo” (gold ‘time’ deposits or ‘term’ deposits) totalling 82.87 tonnes. Since the English equivalent of these two phrases can be confusing, the “Sólo Depositado” can be considered to be physical gold that has been deposited with a bank, much like a sight deposit at a bank, while the “A Plazo” is gold lent by the central bank to commercial bullion banks whereby the banks pay interest to the central bank for borrowing the gold. The central bank has a claim to the gold that it lent, and the bullion banks have a gold liability to the central bank. Of the 128.48 tonnes of physical gold deposited abroad, this was deposited with three entities, namely, The Bank of England, The Bank for International Settlements, and J.P. Morgan. The lion’s share of this deposited gold, 99.21 tonnes, was with the Bank of England. A further 11.85 tonnes was deposited via the BIS and a further 17.42 tonnes was deposited with JP Morgan. Each of these three entities is listed next to the country of its “headquarters” i.e. England, Switzerland and the US, respectively. It’s not clear if the Venezuelan gold held by the Bank of England was held ‘under earmark‘ (i.e. specific bars allocated in custody via a Bailor-Bailee relationship), or held ‘on a fine ounce basis‘ (i.e. within a larger pool of gold (pool allocated) where Venezuela would own a specific number of fine ounces but not specific bars). Given that there is no mention of ‘earmarked’ gold in the table, and given that the deposit was described as a sight deposit (see below), the gold attributed to the Bank of England was probably held as a deposit on a fine ounce basis. The same logic would apply to the gold deposited into a BIS account (probably also at the Bank of England). 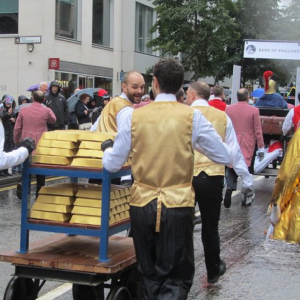 Gold lending only works if the lent gold is fungible which enables the Bank of England or the BIS to transfer bars to the borrowers and get back other bars at a future date. Its unclear from the table as to where the gold deposited with JP Morgan was stored, and also unclear if this gold was unencumbered and free of other liens, claims and hypothecations. Of the 82.87 tonnes of lent gold that comprised gold time deposits (22.65% of Venezuela’s gold), these time deposits were shared out between five bullion banks, namely, The Bank of Nova Scotia, Barclays, Standard Chartered, HSBC and BNP Paribas. The countries listed next to these five bank are, in all cases, the countries where their ‘headquarters’ are based, except for BNP Paribas, which strangely, is listed with a country of ‘United States’ despite its headquarters being located in Paris, France. So it appears that a BNP Paribas US entity was involved in borrowing Venezuelan gold. Note that BNP merged with Paribas in 2000 after a takeover battle involving Société Générale. These gold time deposits represent the gold that was lent by the BCV to the bullion market in order to generate a return to the BCV. This gold, when lent, was either sold or lent on further by the original bullion bank borrowers or used by them in a proprietary manner, or some combination of the three. Note that London entities of all six bullion banks in the above table are members of the London Bullion Market Association (LBMA). 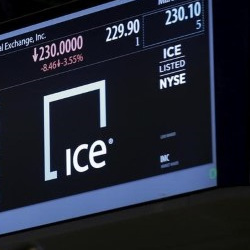 Five of them are now LBMA market makers (except BNP Paribas), and four of them are clearing members of London Precious Metals Clearing Ltd (LPMCL), namely HSBC, JP Morgan, Scotia and Barclays. For all of the above deposits / investments, the BCV’s allocation table specified the year of commencement of operations (fecha de inicio de operaciones), and in the case of the time deposits, the expiration date of the placements (fecha de vencimiento de colocaciones). For the gold on deposit with the Bank of England, BIS and JP Morgan, these deposits were described as ‘sight’ deposits with no expiration date. In this table from 2011, the gold on deposit at the Bank of England is stated as having commenced in 1980. 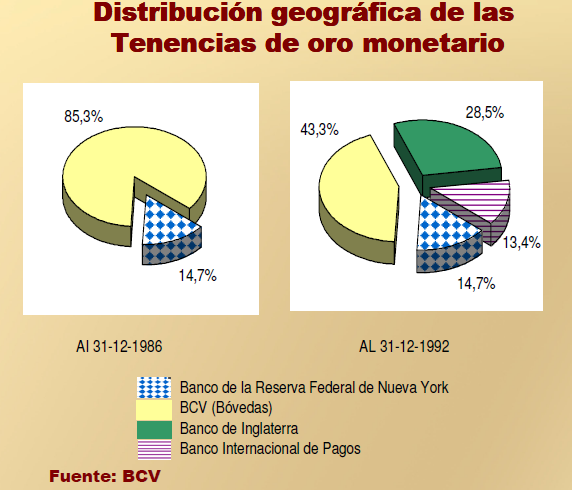 However, this contradicts the BCV pie-chart (see graphic above) which stated that in 1986, the Venezuelan gold was only held at the BCV and the FRBNY, and also contradicts the BCV history which maintained that “initially in the late 1980’s, 89.72 tonnes was transferred from the BCV to the Bank of England”. Given that all bar gold at the BCV and the FRBNY would have been in the form of US Assay Office melts, it implies that all of the Venezuelan bars that ended up at the Bank of England and in the London market needed to be, at a minimum, individually weighted and stamped when received. Given that there have been concerns about the quality of US Assay Office 995 fine bars (for example the gold given by the FRBNY to the Bundesbank in 1968), some US Assay Office bar holders may decide to refine them to bring them up to a correct and trustable good delivery standard. According to the BCV table, Venezuela only deposited gold with the BIS beginning in April 2009, while the gold deposit with JP Morgan commenced in 1999 (so the JP Morgan deposit was in existence for more than 11 years). Note that JP Morgan merged with Chase Manhattan in 2000. Since Venezuela had previous deposited gold with the BIS from as early as December 1992, the record of an April 2009 deposit with the BIS looks like a fresh allocation to a BIS account at that time. Of the five gold time deposits arrangements, the relationship with Bank of Nova Scotia was stated as commencing in 1992, while the operations with the other four bullion banks are listed as beginning in 2004. However, a note to the table states that “Since 2004, the Central Bank has kept automated records of the operations with these institutions. However, the first operations (manual) are dated from previous years” (i.e. prior to 2004). Interestingly, three of these bullion banks, namely Barclays, Bank of Nova Scotia, and Standard Chartered, are the same three banks that the central bank of El Salvador had recently engaged in gold time deposits with. See “El Salvador’s gold reserves, the BIS, and the bullion banks” for details. In fact, these three names crop up hosting gold time deposits with other Latin American central banks. More on that in a future article. The gold time deposits appear to have been generally for periods of approximately one month because, as of 8 August 2011, all of the deposits expired between 8 and 14 September 2011. Note, the final ‘total’ row in the above table is named ‘Total Oro‘ but only totals to 237.34 tonnes. This looks like a typo whereby the 154.47 tonnes at the BCV was added to the 82.87 tonnes of time deposits, but the 128.48 tonnes of real gold deposits were omitted. Given that we know the geographic allocation of Venezuela’s gold on 31 December 1992 (start of period) and also know how the geographic allocation stood in August 2011 (end of period), as well as when the end of period distributions started, it’s possible to draw some observations. Recall that at the end of 1992, Venezuela held 154.5 tonnes of gold at the BCV vaults in Caracas (43.3%), 101.8 tonnes at the Bank of England (28.5%), 52.2 tonnes in the FRBNY (14.7%), and 47.79 tonnes with the BIS (13.4%). A total of 356.29 tonnes, and note that the FRBNY and BIS holdings add up to 99.99 tonnes (let’s call it 100 tonnes). At the beginning of August 2011, Venezuela held 154.47 tonnes at the BCV, 99.21 tonnes at the Bank of England, 17.42 tonnes with JP Morgan, 11.82 tonnes with the BIS, and 82.87 tonnes as time deposits with five bullion banks. A total of 365.82 tonnes, i.e. 9.53 tonnes more than in 1992. 1. 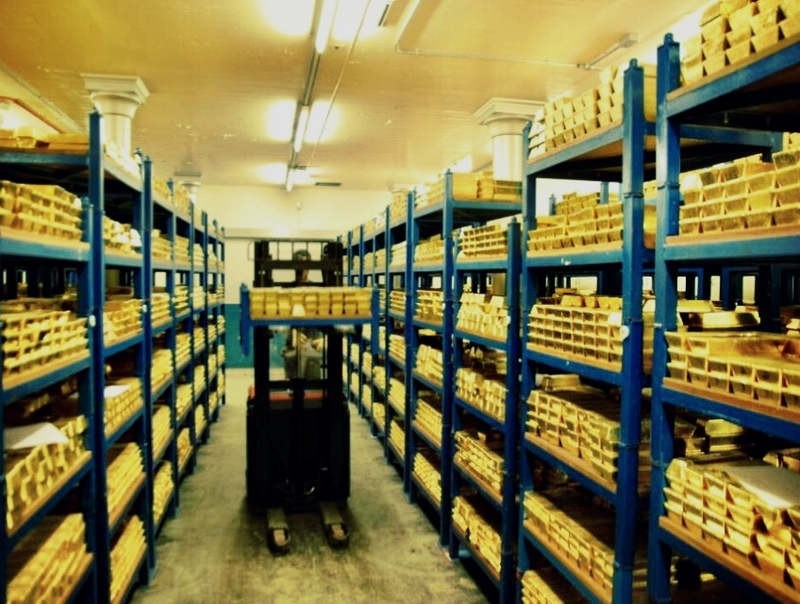 The 154.5 tonnes of physical gold that was at the BCV in Caracas in 1992 was still at the BCV in August 2011. 2. Gold, in a practically equivalent amount to that deposited at the Bank of England by December 1992 (i.e. 101.8 tonnes) was still deposited at the Bank of England in August 2011 (i.e. a 2.59 ton reduction to 99.21 tonnes). This was not necessarily the same gold though since it could have been involved in multiple transactions between 1992-2011. 3. The gold that was’ in custody’ at the Federal Reserve Bank of New York (FRBNY) in 1992 (i.e. 52.2 tonnes) was no longer accounted for as being at the FRBNY in 2011. This gold may have been physically moved to the Bank of England or else swapped to London, however, some or all of it may have stayed in the FRBNY vault or in the vicinity of New York. This is so because some bullion banks such as JP Morgan have in the past had gold accounts at the FRBNY when they held sovereign gold as collateral for loan advances (e.g. lending to Spain in the 1950s). The FRBNY will insist that commercial banks cannot hold gold accounts at the FRBNY, however, commercial banks have been named gold account holders at the FRBNY (holding gold as collateral) in the past. Furthermore, JP Morgan’s gold vault is right next door to the FRBNY gold vault(s) and may be connected to the FRBNY vault area. See “The Keys to the Gold Vaults at the New York Fed – Part 2: The Auxiliary Vault” for details. So it’s possible that the 17.42 tonnes that was deposited with JP Morgan was held in New York in JP Morgan’s vault or in the name of JP Morgan at the FRBNY vault. Interestingly, given that there were 52.2 tonnes of Venezuela’s gold at the FRBNY in 1992, its notable that the totals for the gold deposit with JP Morgan, and the time deposits with BNP Paribas (US), Bank of Nova Scotia and Standard Chartered in the above table add up to a combined 51.41 tonnes, which is quite close to the 52.2 ton FRBNY total (a difference of 0.79 tonnes). So the FRBNY gold could have been divided out to these four entities in the 1990s and 2000s. 4. 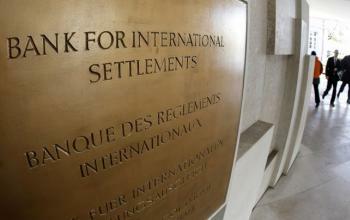 The 47.79 tonnes at the BIS in 1992 had, by 2011, become only 11.82 tonnes at the BIS, i.e. a drop of 35.97 tonnes. Gold deposited to the Bank of England by a foreign central bank can be transferred in and out of the BIS gold accounts at the Bank of England and also in and out of the commercial LBMA bullion bank gold accounts at the Bank of England. Given these transfer possibilities, it’s not surprising that Venezuela’s gold positions with the BIS have fluctuated widely over time. 5. From being stored with four official sector entities in 1992 (according to the BCV data), the Venezuelan gold, in 2011, was being ‘minded’ by nine entities, six of which were commercial bullion banks / investment banks. 6. Roughly speaking, the combined 100 tonnes of gold custodied by the FRBNY and the BIS in 1992 had become 112.14 tonnes in 2011 spread over the BIS, JP Morgan, Barclays, HSBC, Scotia, StanChar and BNP Paribas. This transformation in the 1990s and 2000s of custodied gold into lent gold as well as physical gold deposited with a bullion bank (in the case of JP Morgan) is in line with the BCV’s stated intention in the late 1980s to proactively move some of its gold to London (in the form of good delivery gold), so as to actively participate in the financial market for gold and earn a return on the participating gold. The 12.14 tonne increase from 1992 to 2011 among the above entities was due to a real increase in 9.53 tonnes of Venezuela’s gold over 1992 to 2011 (non-monetary gold converted to monetary gold and sent to London) as well as a net 2.59 ton reduction in the amount of gold deposited with the Bank of England (9.53 + 2.59 = 12.12). This 12.14 ton net increase, when added to the reduction of 35.97 tonnes held with the BIS, equals 48.11 tonnes, which is very close to the combined gold lent (time deposits) to Barclays and HSBC of 48.89 tonnes ( i.e. 45.84 + 3.05 = 48.89 tonnes), and just leaves a 0.78 ton difference, which is the residual amount that was left over in the above FRBNY calculation. So in theory, the Barclays and HSBC time deposits could have been sourced from a transfer from Venezuela’s BIS gold account balance as well as the extra gold that the BCV sent to London in 2009 and 2010. 7. There may have been many other bullion banks that held gold time deposits for Venezuela over the period 1992 – 2011. The 2011 data is just an end-of-period snapshot. Likewise, some of Venezuela’s gold could have moved in and out of Bank of England and BIS gold accounts, and, less likely, moved in and out of a FRB gold account, over the intervening period. Without the inventory records, it’s not possible to know. Venezuela’s current gold holdings (in May 2015) of 367.6 tonnes versus early August 2011 total holdings of 366 tonnes mask some fluctuations over the period which were due to various small purchases and sale transactions. 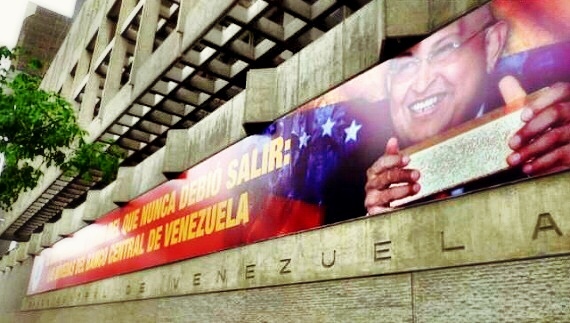 In late August 2011, Nelson Merentes, president of the BCV, announced that Venezuela would be purchasing 7 additional tonnes of monetary gold. This would have brought the total holdings up to 373 tonnes at the end of 2011. Other small purchases since the end of 2012 brought the total back up to the current 367 tonnes. How many Gold Bars did Venezuela have in August 2011? These bar numbers roughly equate to tonnes as follows. Assuming a good delivery bar is a 400 oz bar, then 12,819 bars = 159.49 tonnes, and 16,908 bars = 210.36 tonnes, and the difference of 4,089 bars = 50.87 tonnes. The total of 29,265 bars = 364.10 tonnes. These figures are very close to the stated gold totals in the above BCV table from August 2011. The reference to 16,908 bars was therefore assuming that all the gold held abroad was being repatriated, which turned out not to be the case and approximately 50 tonnes was left behind at the Bank of England in London. From the numbers above we therefore know that Venezuela owned 29,265 bars in total, with 16,908 bars held abroad (including claims on bars containing the equivalent number of fine ounces that were deposited or lent), of which 12,819 bars were repatriated, and 4,089 bars left in the Bank of England’s vaults. 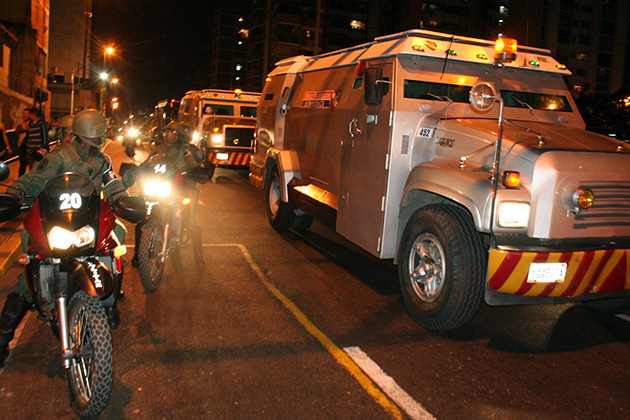 It also means that there were 12,357 bars held in the BCV vaults in Caracas before the gold repatriation started, and 25,176 bars in the BCV vaults when the repatriation completed. Both the gold repatriated and the gold left in the Bank of England are assumed to be entirely made up of London Good Delivery bars, since all the bars that entered the London market would have to be Good Delivery bars. The gold that was in the BCV vaults in Caracas prior to the repatriation is assumed to entirely consist of US Assay Office or other US Mint ‘melts’. 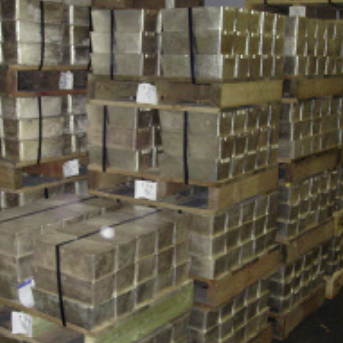 Therefore, following repatriation of the gold, 50.92% of the bars in the BCV vaults should have been London Good Delivery bars, and 49.08% should have been in the form of US ‘melts’. Since there were 211.35 tonnes of Venezuela’s gold stored abroad, the average fineness of the good delivery bars was 401.875 fine ounces. Since there were 154.47 tonnes of Venezuela’s gold stored in Caracas before the repatriation, most if not all of which were in the form of US Assay Office melt bars, the average fineness of these bars was therefore 401.90 fine ounces. This is assuming the ingot numbers are correct and that they were not reverse calculated in any way by the BCV from older records of bar numbers and fine ounces. The Chávez declaration from 8 August 2011 called for the transfer of gold back to Venezuela so that 90% of the country’s gold would end up stored in the BCV vaults, and interestingly, it envisaged that the gold transfers would be completed by October 2011. This timeline of an August – October repatriation never materialised, and the gold shipments to Caracas only commenced in late November 2011 and ended on the last day of January 2012. It’s unclear as to what caused this delay or indeed if the October deadline was merely an unrealistic expectation by Chavez and the BCV, or a real delay caused by gold sourcing or other logistical issues from the Bank of England, BIS and bullion banks. Neither the BCV nor the media (Venezuelan or international) appears to have covered or explained this shifting completion deadline. What is clear is that the move by Venezuela to repatriate very large quantities of gold, which was publicly announced in early August 2011, was one of the key drivers that caused a run-up in the gold price before, during, and after August 2011, and which culminated in a multi-year high price of over $1900 on 6 September 2011. See BullionStar Chart for US Dollar gold price movements before, during, and after August 2011. With five bullion banks needing to provide nearly 83 tonnes of gold to Venezuela in a short space of time so as to close out their gold deposit liabilities, it would be realistic to assume that this had a material impact on bullion demand in the London and possibly wider gold market. Based on normal protocols as well as market intelligence, the bullion banks in question, as well as the BIS and Bank of England would most likely have known about the approaching BCV/Chavez announcement for a significant period of time prior to August 2011. As to whether demand tightness was heightened even more by Venezuela’s closing out of physical deposits with the Bank of England, BIS and JP Morgan is hard to quantify. It would depend on the extent to which these deposits were free of other claims, that might necessitate sourcing replacement gold elsewhere. 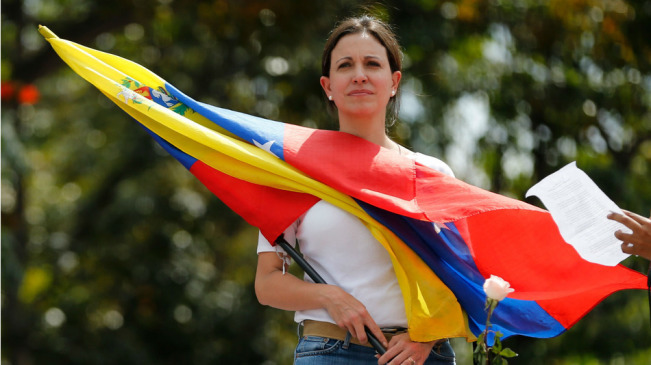 The manner in which all of the gold was sourced for fulfilling Venezuela’s repatriation request may never fully be known. 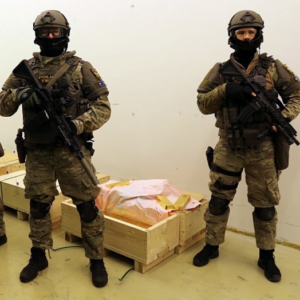 What is known is that the repatriation operations to fly the gold to Caracas International Airport, and transport it to the BCV’s downtown vaults, included some of the largest and most public gold moving operations that most people are ever likely to witness. These operations, over a two month period from the end of November 2011 to the end of January 2012 included gold flown in on Air France and World Airways aircraft. Part 2 of this Venezuelan gold reserves analysis, titled “Venezuela’s Gold Reserves – Part 2: From Repatriation to Reactivation“, covers the gold repatriation operations and these very public airport operations, and features some interesting videos of the transport operations taken by camera crews who were effectively part of the operation. Part 2 also covers the extensive re-involvement with Venezuela’s gold reserves by some of the largest names in global investment banking.